Who Installed the OpenStack Matters, But Here is Somewhat Generalized Guide to Evoke the Rescue Mode on Linux Instance via Python Nova Client. Rackspace, for example runs OpenStack but they have their own web GUI based method to bring the Rescue mode. 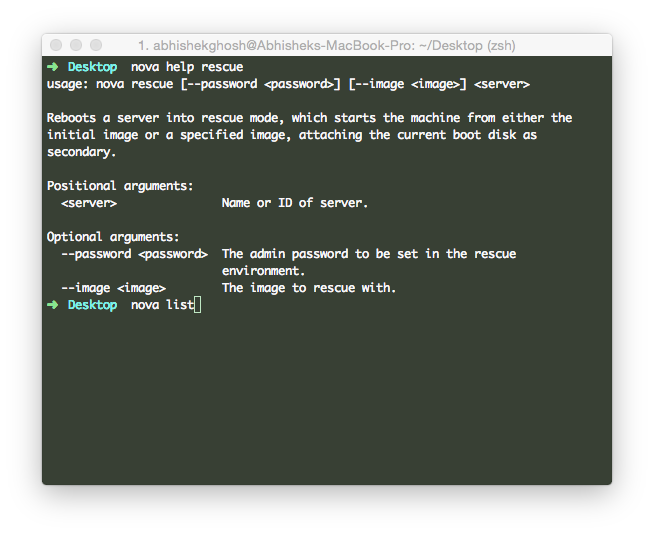 This guide to OpenStack Nova instance rescue will work for your own OpenStack installation as well as on HP Cloud. OpenStack Python Nova Client must be installed. OPENSTACKRC file must be copied in the active profile file (.zshrc in case of Homebrew – iTerm2 – ZSH setup). If you chowned the file wrongly from root, then root will be at /example/. It s honestly not possible to predict what error you did and what steps you should do to undo. It is always better to take a snapshot before any work. If simple apt-get upgrade breaks the system, it is very difficult to roll back or undo without snapshot. This Article Has Been Shared 4194 Times! Software Maintenance is a factor of thought, be it a simple CMS or the Core Software. How easy or hard the Software Maintenance part in Cloud Computing ? Cite this article as: Abhishek Ghosh, "Steps For OpenStack Nova Instance RESCUE (HP Cloud)," in The Customize Windows, April 9, 2015, April 21, 2019, https://thecustomizewindows.com/2015/04/steps-for-openstack-nova-instance-rescue-hp-cloud/.